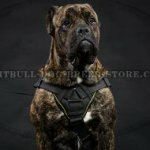 Width is no less important point you should pay attention to when get a collar for Pitbull. 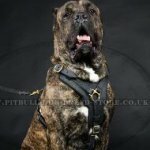 How to choose Pitbull collar width that will be the most comfortable for your dog? Pitbull age, size, temper and kind of activities are considered at the collar width choosing. The bigger Pitbull is, the larger collar width is chosen. 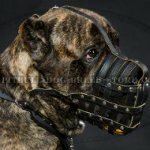 Large and powerful Pitbulls need wide collars. 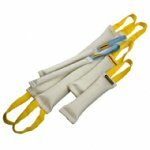 Narrow collars are suitable for medium dogs and puppies. Collars are made with different width. 1.5 inch (40 mm) and 0.9 inch (20 mm) are considered standard kinds of dog collar width. 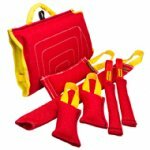 Which one fits your pet? 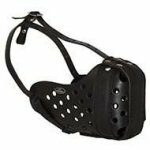 It is better to choose a collar of narrow width for Pitbull puppy to prevent neck traumatizing and discomfort. The collar is changed to a wider model during puppy growth. Narrow collar is harmless for your little dog because it is light-weighted and doesn't rub or cut into puppy's tender skin. 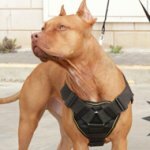 The collar provides maximum comfort and safety to small Pitbull during everyday outings. 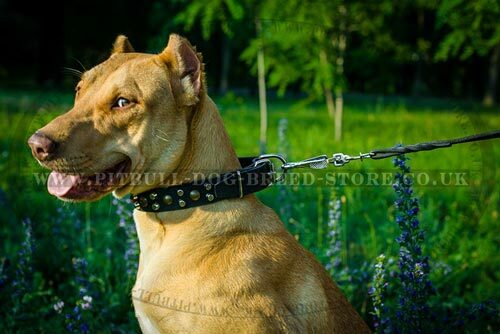 Thin collars are also used for young and adult Pitbulls walking. 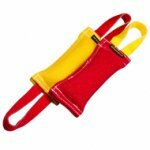 The collar adds elegance to the dog's exterior and looks like a classy necklace or a bracelet on its neck. 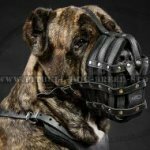 It should be remembered that narrow collars are allowed for well trained and non-aggressive dogs, which run commands in full obedience and their owners are doubly sure that they won't provoke dangerous situation. 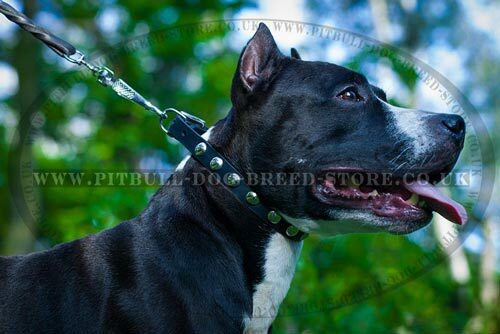 1.5 inch wide collars are intended for medium and large-sized Pitbulls. They serve for walking, training and other daily activities. 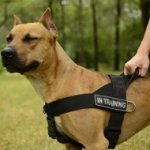 Dog control is the main function of these collars. High durability and tear resistance are the main advantages of wide collars. 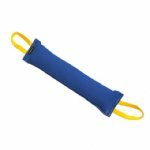 You will control your strong dog reliably and it won't do any harm to Pitbull due to optimal wideness that doesn't allow neck injuring. Your pet will feel comfy and you will handle it with confidence. Whichever collar you choose, you get a usable item for Pitbull or similar breed. It depends on your dog's size and age which one to purchase. Feel free to contact us if you have questions.